Read our latest news on new products, gift ideas and fun-filled ideas for the kids! Easter shopping can be so much fun. There is far less pressure than at Christmas, and almost anything relating to a bunny or chick can hit the Easter theme, but sometimes it can be hard to choose so we have put together our 10 Easter gift ideas! The goal is always for a fun gift, something that will make them smile and although it is for Easter, something that will see them through the whole year is a huge plus. Here are our favourite 10 Easter gift ideas we know your little ones will love! The Be Right Back Body Suit is a beautiful gift for babies up to 12 months and is both stylish and super comfortable. The body suit is made from 100% Organic Cotton because we think only the best should be used for your little ones. 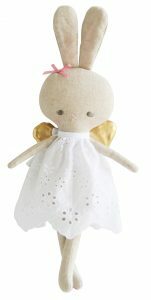 A beautiful angel bunny that has pretty gold angel wings, gold star crown and a soft blush tulle dress will be loved by your little angels. A bunny shaped plate and bowl that can become a container will be perfect for snacks at home, or on the run. 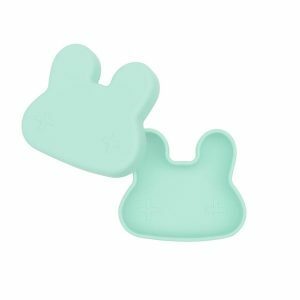 You can also add a Bunny Placie for a complete meal set! 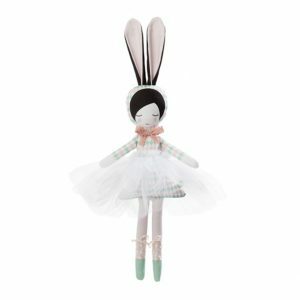 The Bunny Ballerina is perfect for a little dancer, or aspiring dancer to twirl with. The Bunny Ballerina is also available in two colours, pink and mint, to choose the one that is just right for your little girl. Little ones need to keep their hands (and mouths) busy, and a bunny rattle made from beautiful linen is perfect to keep them occupied. This rattle is available in pink or grey and is suitable from birth. 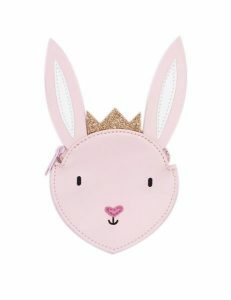 This little purse is just the right size for little ones to hide their favourite treasures, and maybe an Easter egg or two! The beautiful monochrome design is 100% Organic Cotton is soft and gentle for a newborn’s skin. 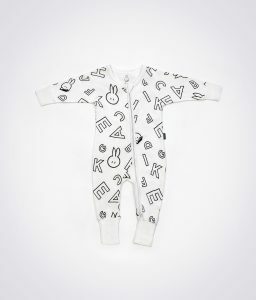 The Letters Growsuit features a dual zip to make nappy changes super quick to keep bubs warm as the weather cools down. 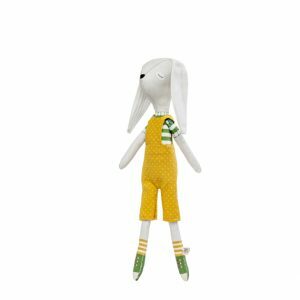 Because dolls aren’t just for girls, the Rabbit Baby Boy doll will be a little guys best friend. 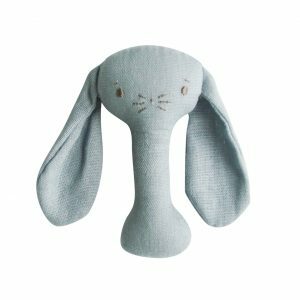 And because we all know boys love to take their best friends everywhere, Rabbit Baby Boy is even machine washable (on a gentle cycled) so trips to the park can be part of their adventures together. 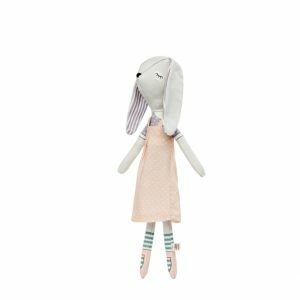 Just like her brother, Rabbit Baby Boy, Rabbit Baby Girl will be a little girl’s best friend. Their adventures will make memories that last a lifetime. A little bunny in a beautiful little dress. 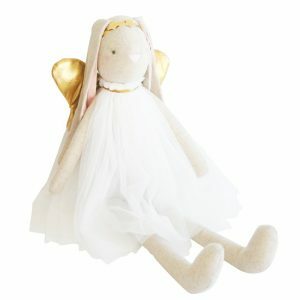 She is she to be loved and is the perfect little addition to any Easter gift. Any of these gifts would be a beautiful Easter present on their own, or use our Custom Hamper Builder for something extra special. Add all your favourite things into a beautifully packaged gift box to really spoil a little one their Easter.